Here is another project that I had a lot of questions about and decided to show how I did it for those who might want to give it a try. 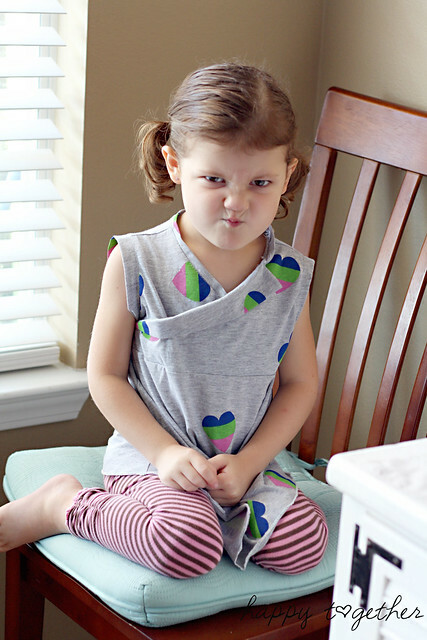 I made one for my daughter for this tutorial, but add better close up pics of my shirt too. I did hers a little differently in how I cut the front, but other than that, it’s pretty much the same. 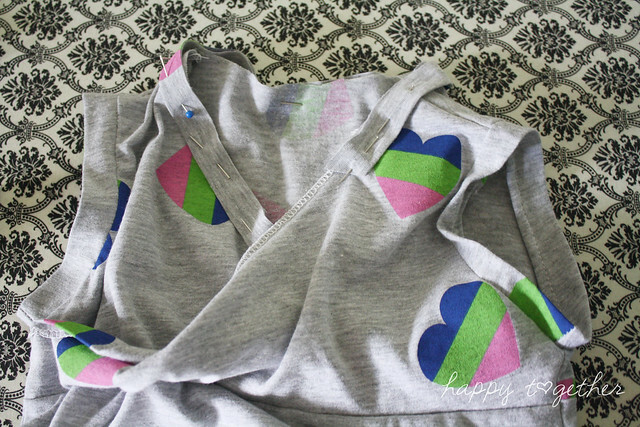 To make one, you will need a shirt or tank top that you like the fit of and knit fabric. 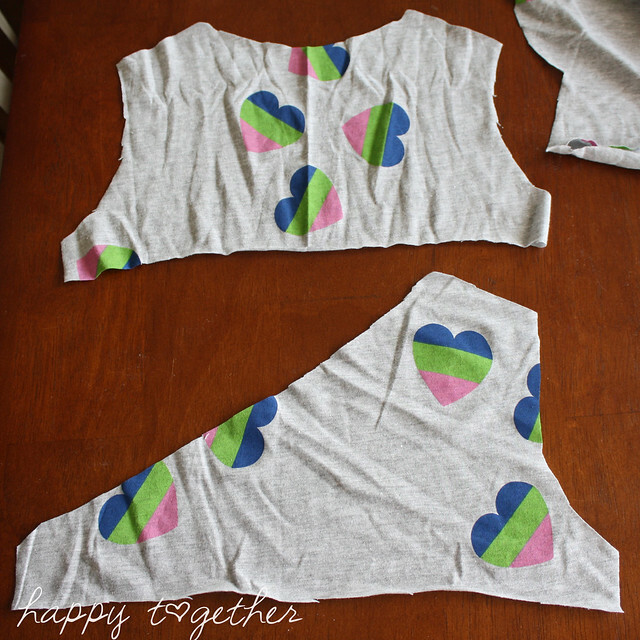 First you want to take a shirt or tank top to create the back top part. 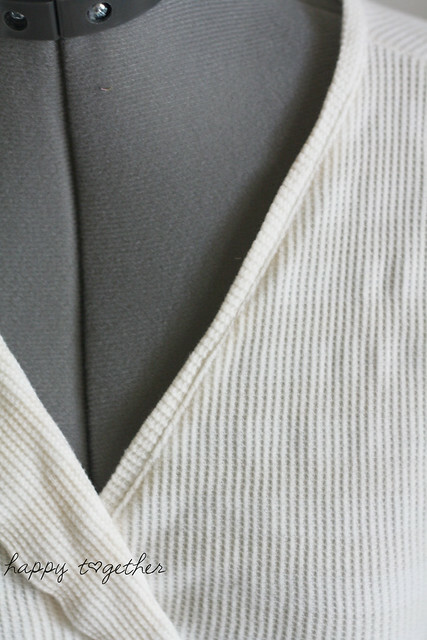 Make sure it is a knit top and has the fit you are looking for. The one I used for me was more fitted than the one I used for my daughter. 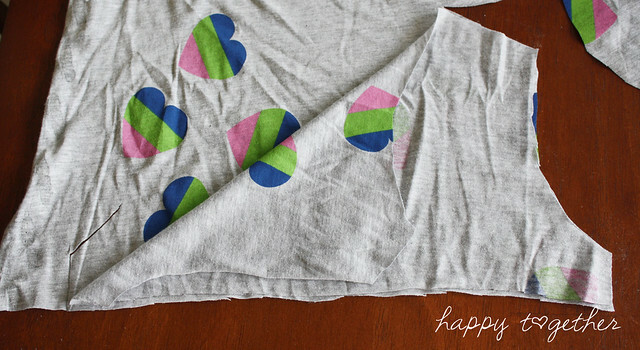 Fold the shirt in half and place it on the fabric fold. Make sure the fabric stretch is going horizontal. You want to cut it so it is below the chest. That length will determine where you want it. 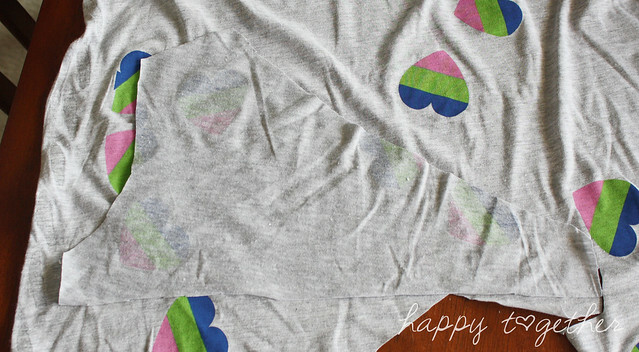 To create the top front two pieces, take the back top piece and open it up on the fabric. Again, making sure the stretch of the fabric is going horizontally so it will stretch to fit your body. 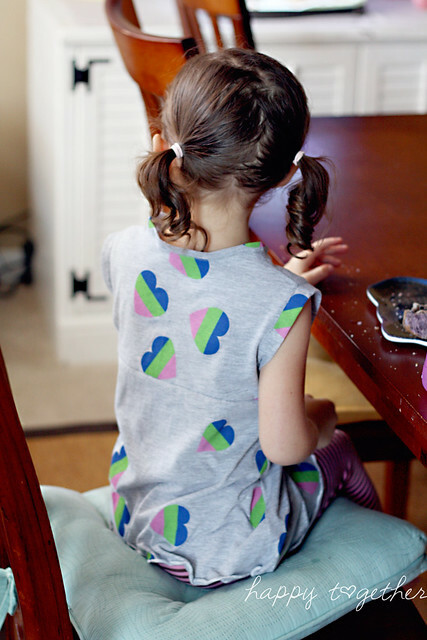 Then fold it over to create the criss cross look. 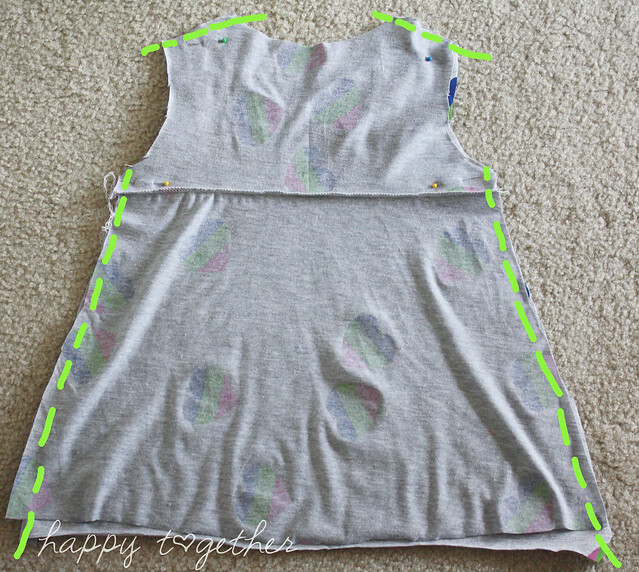 Make sure the top shoulders are the same length as the back piece, as well as the sides. 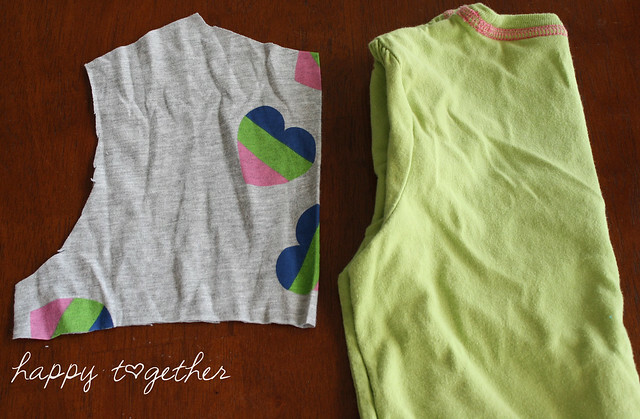 This is so they will match up when you sew them together. Or you can make it more like mine and have the middle parts not go quite all the way, but still have the far sides match up. You should now have a back piece and a front piece like this. Take the front piece, lay it down on the fabric, right side facing down with the fabric stretch going horizontally. Cut out the second front piece side out. Now you have three pieces for the top. Take the back piece and fold it in half. 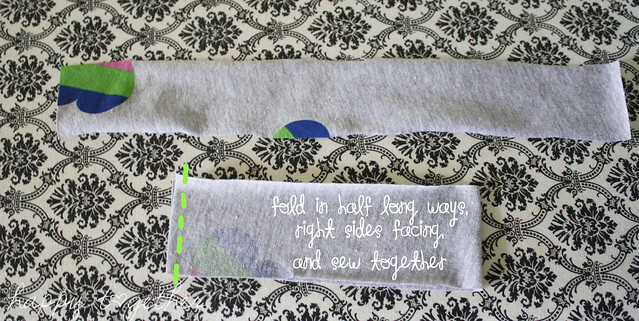 Fold fabric in half for the bottom, making sure the stretch is going horizontally for this piece as well. Make it as long as you want the longest part of the bottom to be. Start cutting it at the top so it is the same width as the bottom of the top piece. Then angle it down to create an a line cut. I did this exact same thing on mine. It works even for a pregnant lady because the fabric stretches. Mine just was a larger a line cut. Another way to do the bottom, is just to make the front and back piece wider and then baste and gather it to be the same width as the top bottom. For the front angled piece, you will be cutting a piece that looks like a triangle. Decide how long it needs to be. I didn’t do this part right on my daughters, but you want it to go all the way to the bottom of the top piece so the bottom is sewn in the seam, holding it in place. I didn’t make my daughter’s quite long enough, but it came out okay. 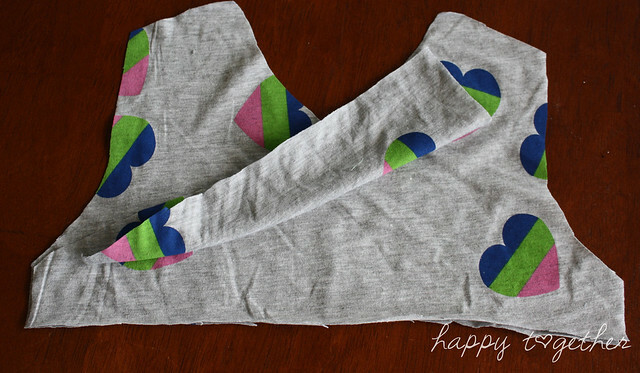 When folded in half, it creates the larger top and the smaller bottom. 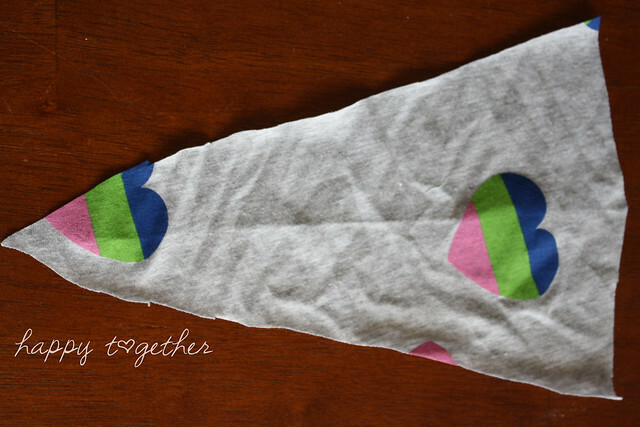 Take the triangle piece and fold it in half, right side facing. 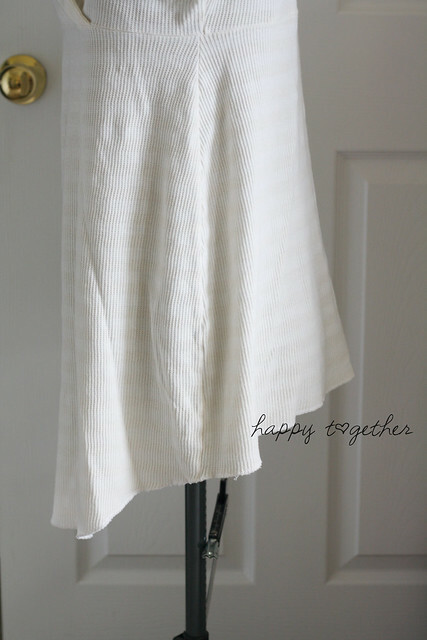 Sew the long end together. Turn the triangle piece right side out and pin on the wrong side of the top piece you want it to go on. Sew on. It will flip to the front. 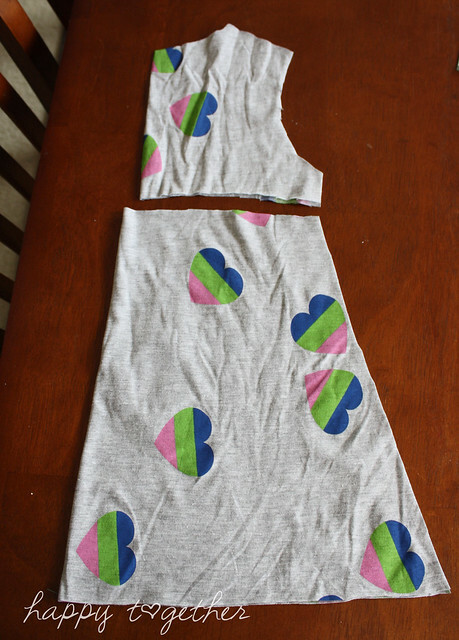 Now place the two front pieces together and sew the sides if you like to keep them in place. 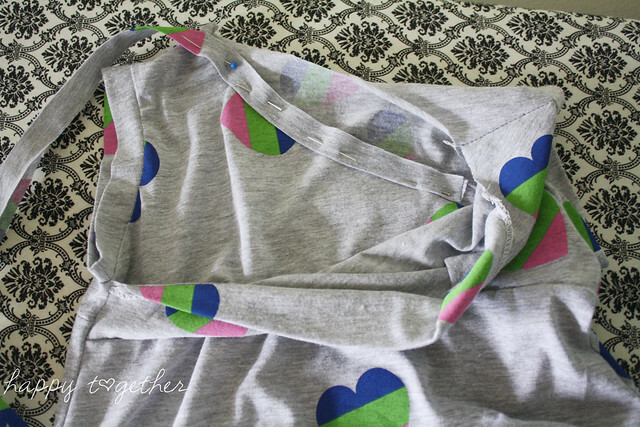 If you made it more like my adult shirt, then you might just want to baste across the bottom. 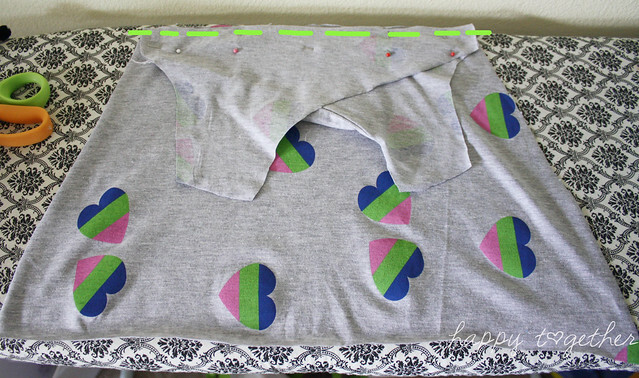 Now place the front top piece on a bottom piece, right sides facing, and sew together. Place the front and the back together, right sides facing. 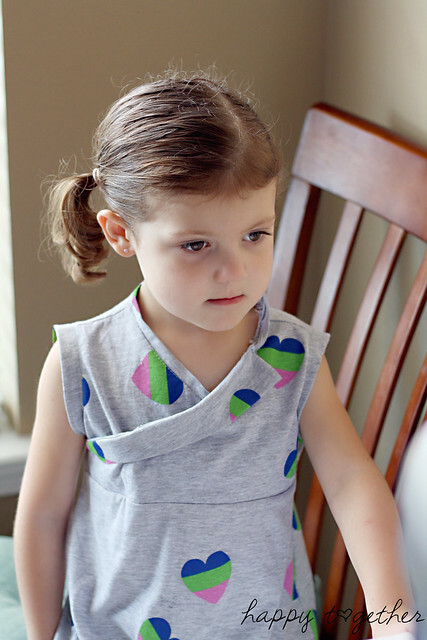 Sew the sides together and the shoulders. It will now look like this. 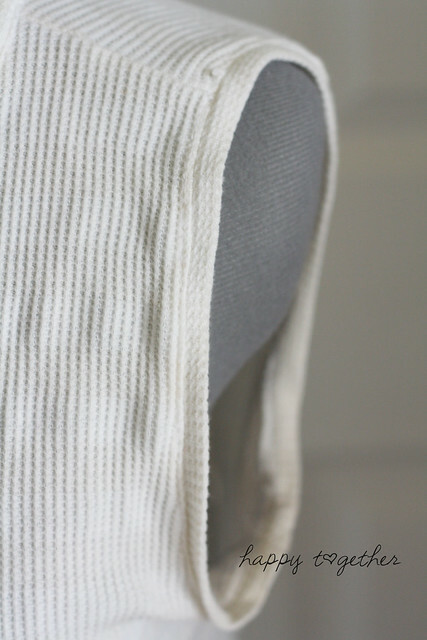 It is time to create binding for the armholes next. 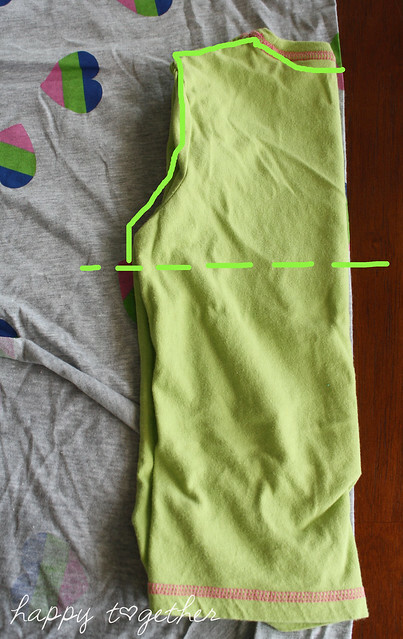 Measure around the whole arm hole and cut a piece that is that length. 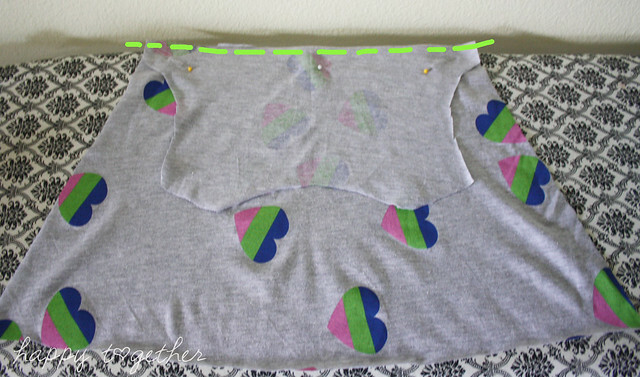 Make the width double of what you want it to be showing and include seam allowance. I made the pieces for my daughters wider than mine. 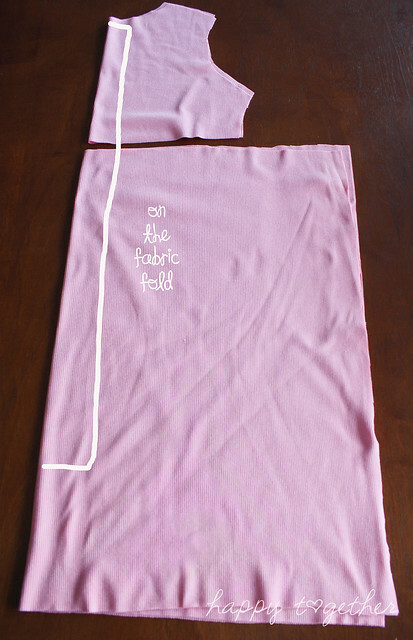 Oh, and make sure the stretch of the fabric goes with in the direction of the length. 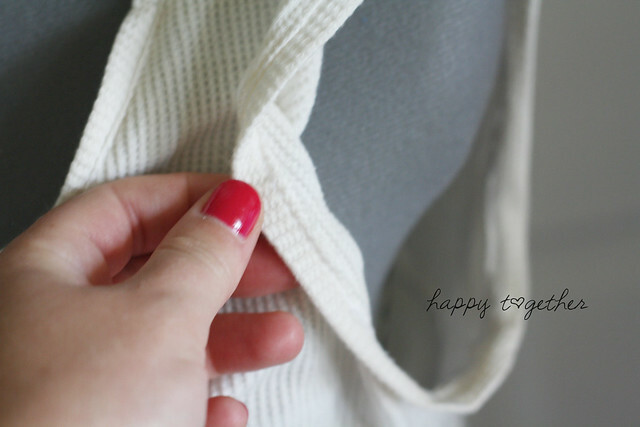 For each armhole binding piece, fold in half long ways, right sides facing, and sew together on the short end. 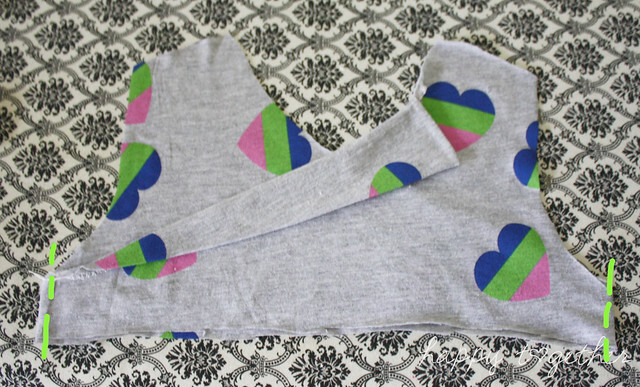 Fold each of those pieces in half, wrong side facing, and pin onto armhole. 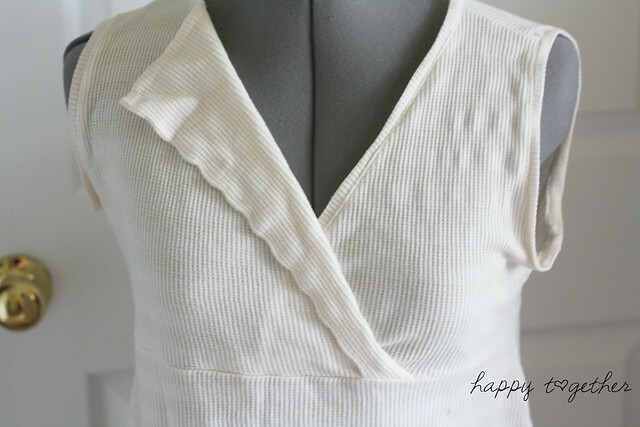 I match the binding seam up with the seam at the armpit. Sew in place. Then turn the binding out. You also need to create a binding for the neck. Again, I made the one on my daughter’s a lot larger than the one on mine. You want the piece to be long enough that it starts on the underside piece and goes all the way to underneath the triangle piece. 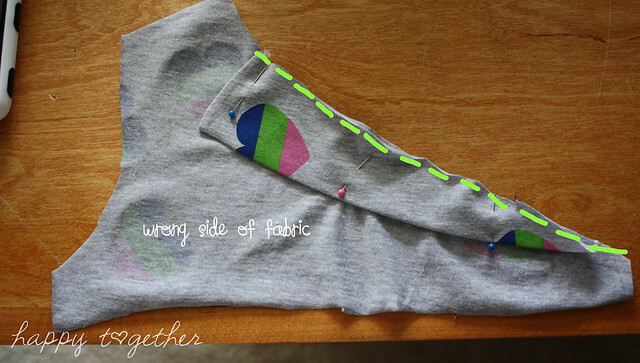 Fold the piece in half, wrong side facing, and pin in place to sew on. 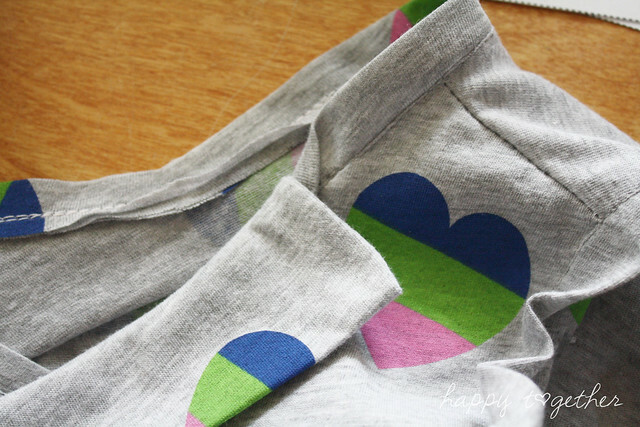 Once it is sewn on, turn the binding up and top stitch right beside the ditch of the seam, catching the seam allowance from the binding. This hold it in place. Then underneath the triangle, turn the binding down and tack in place. Then it doesn’t show. Cut the bottom however you like. I just made ours with the front longer than the back. 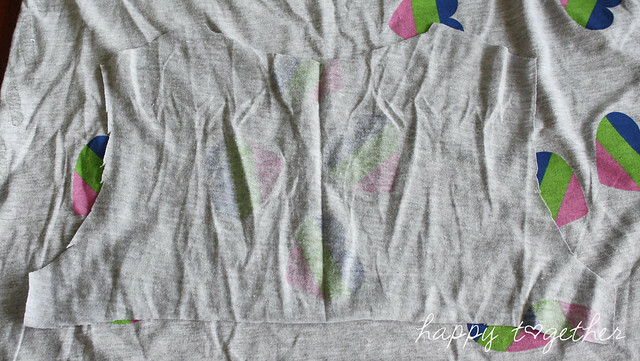 After you cut, make sure to resew a bit at the side seams so it doesn’t come undone. You can finish the bottom if you like, I just serged ours. 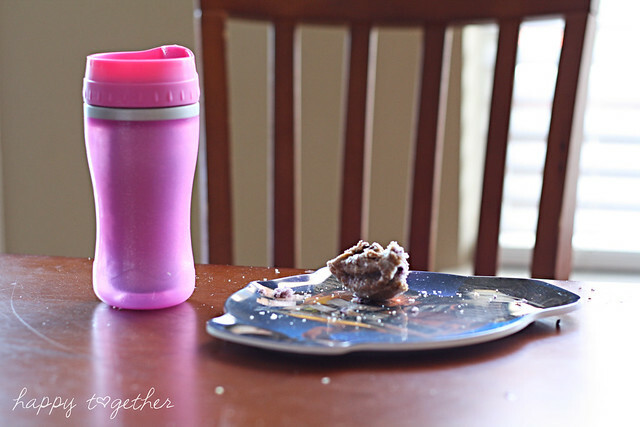 so she could finish off her blueberry donut. Does this top open for nursing? if not, any tips to let it do so? Awesome, I love it! 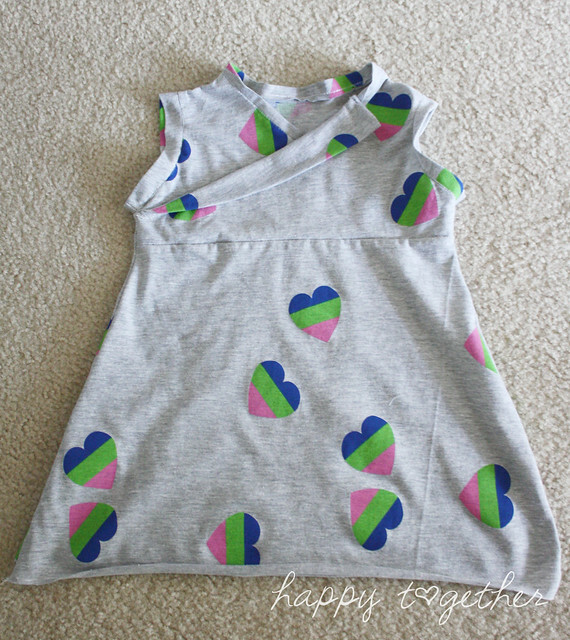 I bet it would look awesome with an assymetrical hem going across the front an an angle, too! Maybe longer on the side opposite of the flap thing? 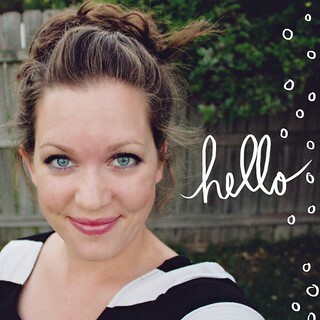 This would be great for postpartum/nursing as well! Great stuff! You and your daughter are so beautiful in your clothes you alter. You make them look professionally done. 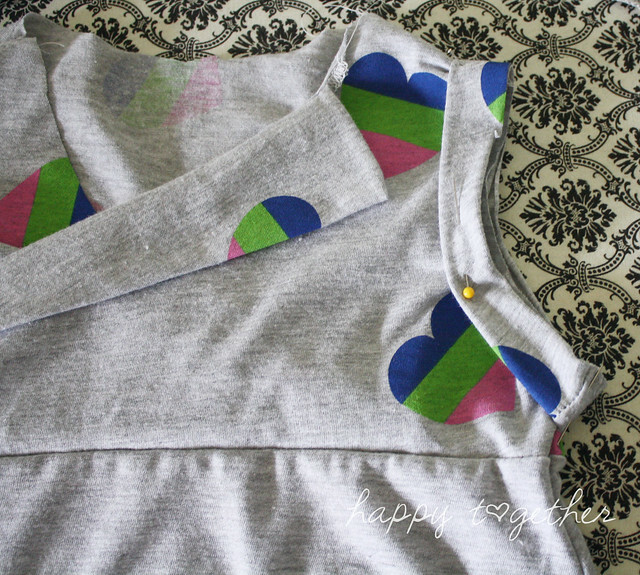 I have collected a few pieces here and there to try my hand at altering clothes your way. Thanks for the inspiration. My name is Gislene Braga and I live in Belo Horizonte, Minas Gerais, Brasil.Não remember how I found your blog, just remember that it took a lot out dele.Que wonder, enchanted me with so much linda.Parabéns, you could surprise me in every detail done on their trabalhos.Suas posts are tasteful, crisp, beautiful. I also have a corner dedicated to my work with fabric and mimos.Amo tinta.Te hope in my corner, see? I found that fabric at a JoAnn’s in Jacksonville, FL last year before we moved. I haven’t seen it at the one I go to now though. I think you could totally use it as a nursing top. Just play around with the sizing to make sure it can be pulled over the right way on you. This is really cute! 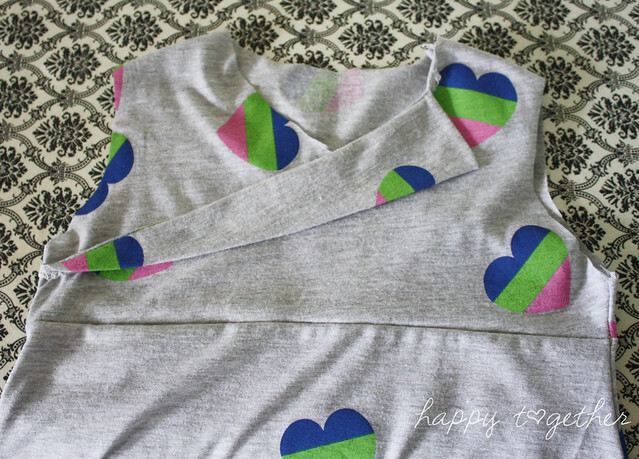 I love cross over tops like this. Will have to give it a try! 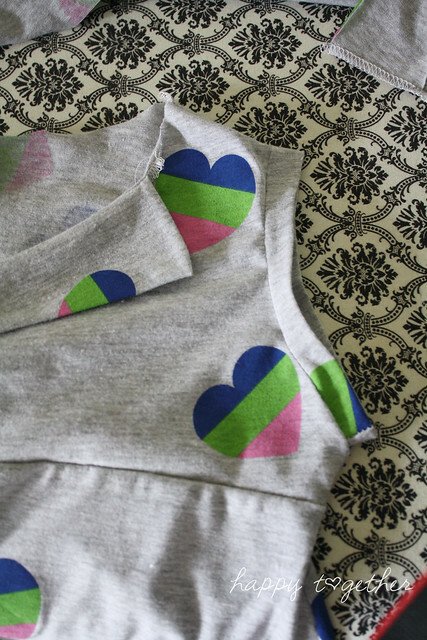 This is such an awesome top! I can see why it’s a favorite!! 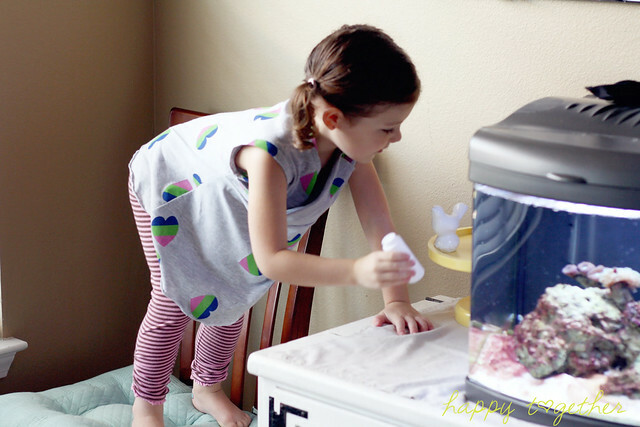 The top looks great on you and your daughter.Thanks for the great tutorial, definitely on my to-do list.